LeBron James is pretty difficult to guard. At least that’s what it looks like, I’ve never guarded him before. Roy Hibbert was was standing next to LeBron on the Heat’s last possession of Game 4 and King James decided to help the Pacers big man out on defense by telling him what he was planning to do with the ball.Drive James did and when Hibbert came to help, he found an open Bosh who shot … and missed.What have we learned? Not too much. LeBron made a smart basketball play, as did Hibbert, and Chris Bosh missed so any real drama or controversy has gone begging. Still, it’s fun to know that LeBron is so supremely confident in his ability that he feels comfortable telling his opponents where he’s planning to go. 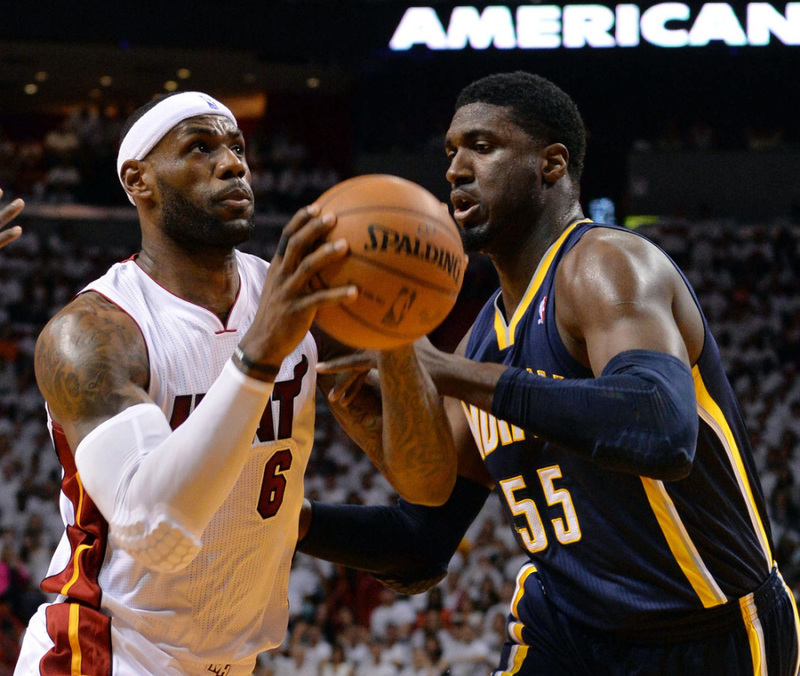 You are currently reading Roy Hibbert says LeBron told him the Heat’s final play at ARE YOU NEXT.